454g, 16 oz This deliciously flavoured dessert is wonderful both hot and cold. A subtle hint of vanilla perfectly accents a light, creamy, smooth dessert custard. 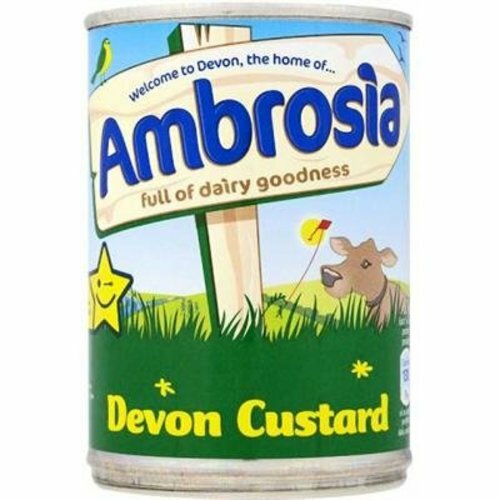 Ingredients: Skimmed Milk, Buttermilk, Sugar, Modified Starch, Vegetable Oil, Whey, Flavouring, Colours (Curcumin, Annatto). Total Milk Content 73% No artificial flavours or preservatives. Gluten free and suitable for vegetarians. Orders that include multiple heavy items may incur additional shipping charges. You will be notified by email before shipment if that is the case.